Cancellations must be made at least 1 week before the event. You will recieve a refund of the full amount minus the REC fee for registration. In case of inclement winter weather resulting in cancellation of this event, the event will be rescheduled to a later date (Either 1/12/19 or 2/9/19). Judges: Panel comprised of regional industry professionals in engineering and computer based fields along with prominent community members. This time is meant for teams to get settled and organized for the competition. In order to participate they must check in and pass inspection. 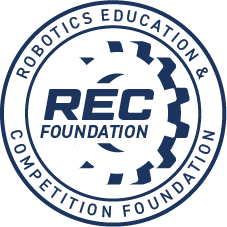 During this time teams will also begin judges interviews, where a panel of judges will ask each team a series of questions and assess individual robot designs. Be randomly paired to compete together as an alliance in a match. A match consists of two alliances (Red and Blue) competing against each other in the Starstruck challenge. A round is completed when every team has competed in a match, after which new alliances are randomly selected and a new round begins. The qualification round will consist of 7-9 rounds where teams will accumulate points to achieve a tournament ranking. During this time the top ranked teams will select two other teams to compete as an alliance through the Elimination round. A total of 8 alliances will compete in the elimination round. An alliance must win in a best of three series against an opposing alliance in order to advance to the next round. 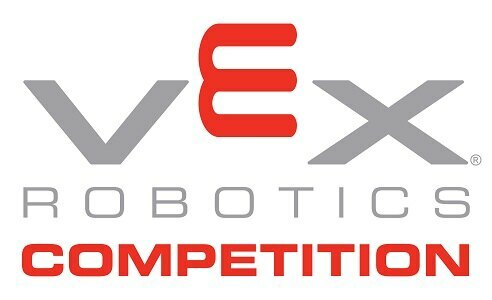 In between elimination rounds, Judges Awards* will be presented to the teams who earned them. All teams that make the finals round will qualify for the NH State Championship this February. The winning alliance is again determined in a best of three format. The final round will immediately be followed by an awards ceremony. This will be our 3rd annual Frostbite Qualifier which will take place at Belmont High School in Belmont New Hampshire on December 15th, 2018. This event will act as both a qualifier and skills tournament for VRC Turning Point. If you are interested in attending or participating in the event we openly invite you to come check out the action and support all participating teams.